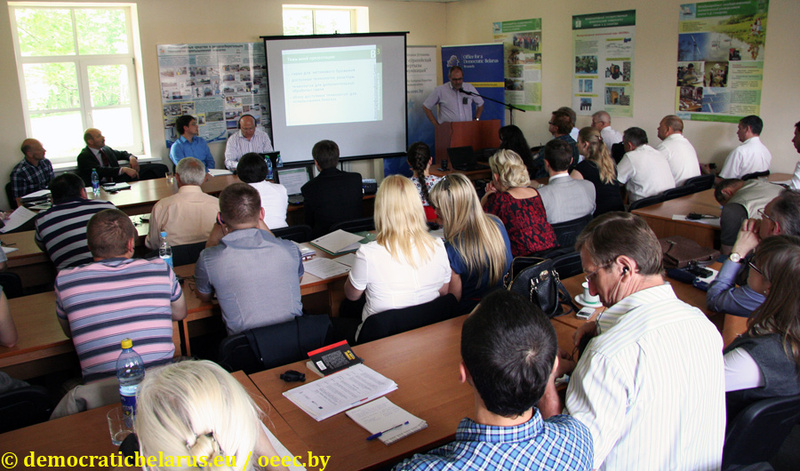 The second meeting of the ”Energy club” was held on May 17th in the International Ecological Innovation Park “Volma”. The event was organized in the framework of the 13th international scientific conference “Sakharov Readings 2013: Environmental Problems of XXIst Century”. The programme of the conference included presentations by experts from EU member states and Belarus specializing in biogas development. The participants were introduced to German experiences of using biogas technology, building bioenergy villages, implementing biogas projects in Central and Eastern Europe and in more detail in Latvia. In addition, the prospects for implementing similar projects in Belarus were examined with an evaluation of already existing biogas plants. The conference was concluded with a presentation on the perspectives and ecological aspects of producing biogas with waste water. The conference was attended by more than 50 participants who represented private companies, higher education institutions and CSOs working in the biogas sector or in the field of environmental protection. The seminar was concluded with an excursion to the ecological park “Volma” organised by the representatives of the International Sakharov Environmental University. The event was organised by Office for a Democratic Belarus (Brussels) and Office for European Expertise and Communication (Minsk) as a part of the programme “EU-Belarus: Sharing Knowledge”. The programme was created for Belarusian experts of various scientific fields and it aims at consolidating contacts and providing a platform for sharing experiences and best practises between experts from Belarus, the EU and the Eastern Partnership countries in the fields of energy policy, transport and education. The programme is currently supported by the European Commission. One of the initiatives developed in the framework of the programme is the “Energy Club” which works as an informal platform for discussing the main issues of energy sector development and energy security. The organisers would like to thank all partners and guests of the event. The presentations of the seminar are listed below (in russian).